Aerial view of farmhouse and front lawn. Farmhouse front lawn. 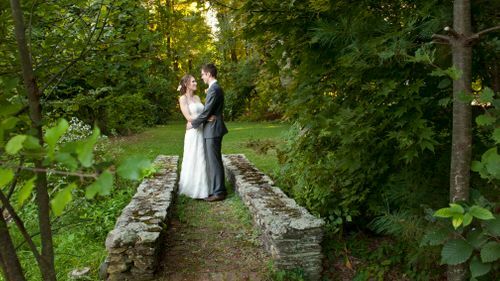 Alternate space for an outdoor ceremony or elegant tented reception. Aerial view of riding barn, riding ring, and riding barn. View of indoor riding ring. Exposed beams create an open airy feel. Alternate view of indoor riding barn. Floor can be hard packed for an indoor reception or just as a back up in case of rain. 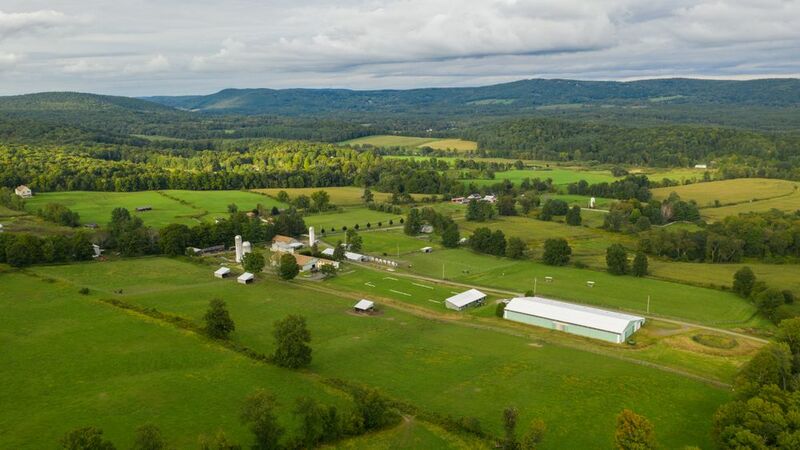 Aerial view of lush green pastures available for use. Aerial view of surrounding farmland. 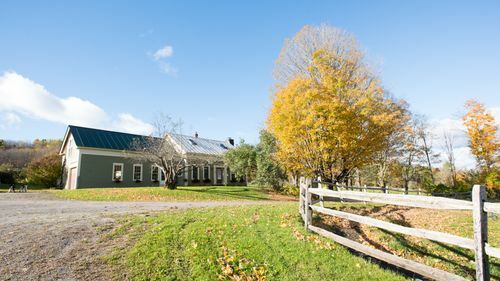 Just outside the Berkshires and only 2.5 hours from both NYC and Boston rests one of the oldest horse farms in the northeast. 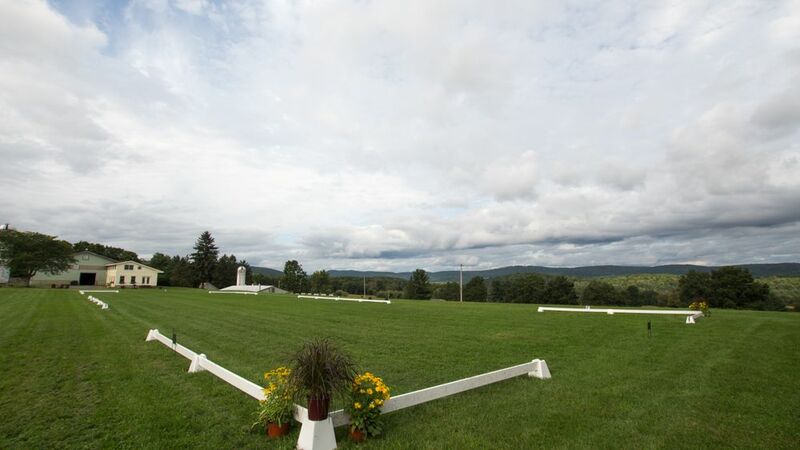 Family owned and now maintained as an organic vegetable farm and private horse training facility, the land is a slice of heaven with lush pastures, mountain views and a perfectly flat lawn for an outdoor tented reception. 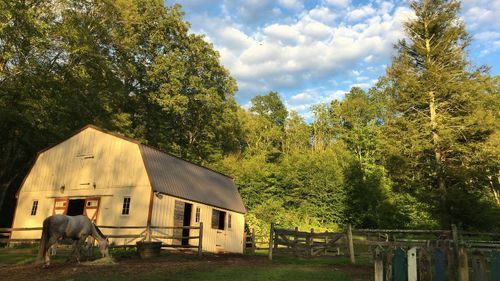 Start by renting the original farmhouse for the weekend for up to 10 of your closest friends or family members. 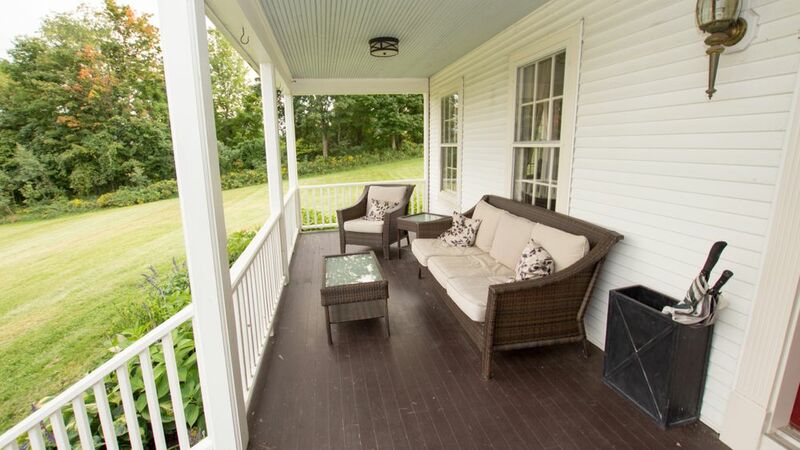 Sip your coffee on its full front porch overlooking an expansive flat lawn available for an outdoor ceremony near it's treelined edge. 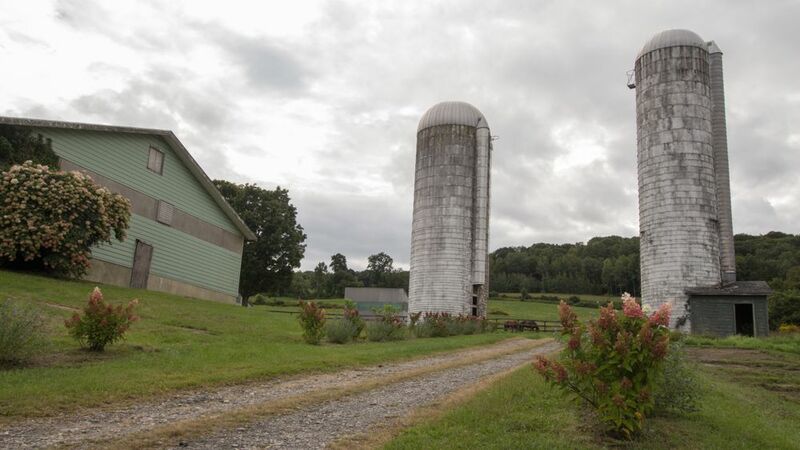 Sneak away for photos against the antique silos and then transition to an outdoor tented ceremony or an indoor rustic celebration inside the 72' x 210' riding barn. Internet Service - Guest network available. Cellular Service - Full coverage. Situated on 60 hillside acres, this tastefully decorated and newly renovated Colonial sits apart, on what was once New England's most renowned Arabian horse farm. 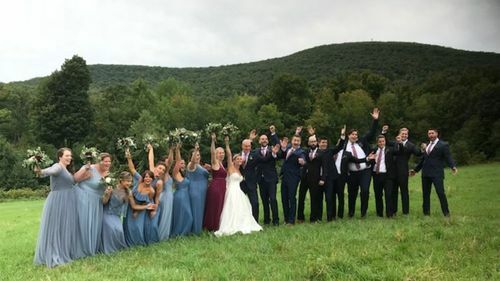 With accommodations for up to 10 guests, this farmhouse is perfect for your wedding weekend where you can relax and prepare with your closest guests before the big day begins. 2 night minimum. 3 night minimum on holiday weekends. Alternate view of front porch. Wide galley-style kitchen with eat in breakfast nook. Bedroom #1 - Master bedroom (king bed). Bedroom #1 - Alternate view of master bedroom (king bed). Bathroom #2 - Master bathroom. Bathroom #1 - Alternate view of master bathroom. Bedroom # 2 (queen bed). Bathroom #2 - Guest bathroom. Bedroom #4. Four single beds. Bathroom #3 - Guest bathroom. Bonfire with staffing from 7-10pm available for $250. Farm grown flowers or custom floral arrangements available for an additional fee. (inquire for details). Horses made available for photoshoot at an additional fee (horse handler provided). Pet Policy: Wedding couple's dog permitted outside only and on a leash due to horses. Upon request, small, hypoallergenic dogs inside home and on a case by case basis. Decorations: Decorations and decor attachments must be removed during clean up, i.e. staples, tape, etc. Fireworks: Not permitted due to horses on-site. Sparklers permitted. Town Ordinances: Amplified music must end by 9:30pm. Acoustic music authorized until 11:00pm.